Red Lion incorporated as a borough on January 16, 1880. A little more than 5 months later, on June 24th and June 25th, the 1880 census was taken and it captured the earliest residents of the new borough. The residents listed were those who were living in the borough as of June 1, 1880. At that time, Red Lion had 49 households that were residing in 47 dwellings within the borough limits. There are two dwellings that each contained 2 households. 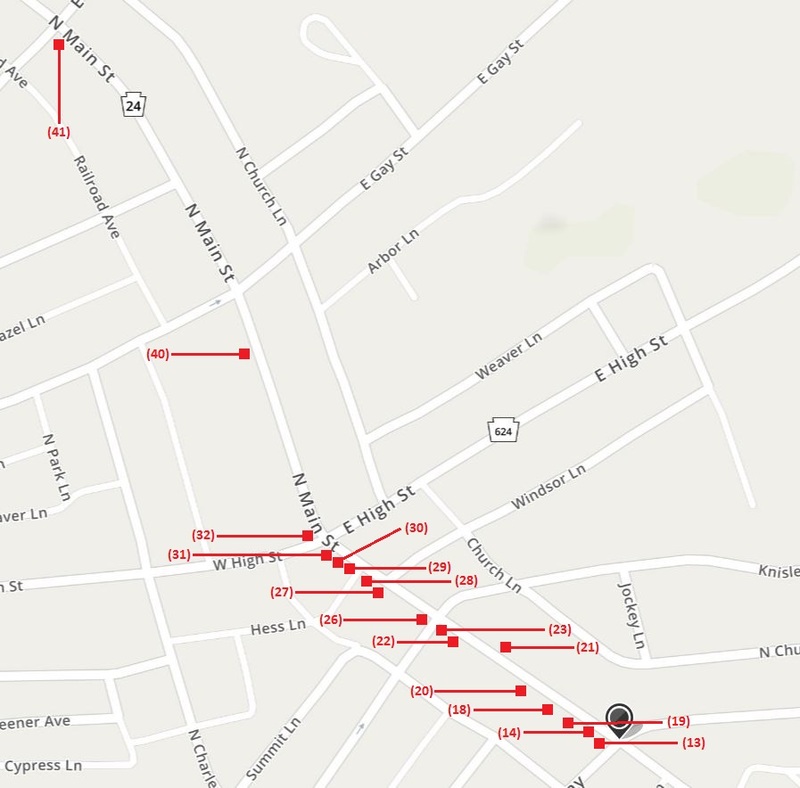 The Julia Sevis and John Poet households resided in the same dwelling (listed as dwelling #2) and the Moses Smith and Samuel Poet households resided in the same dwelling (listed as dwelling #41). 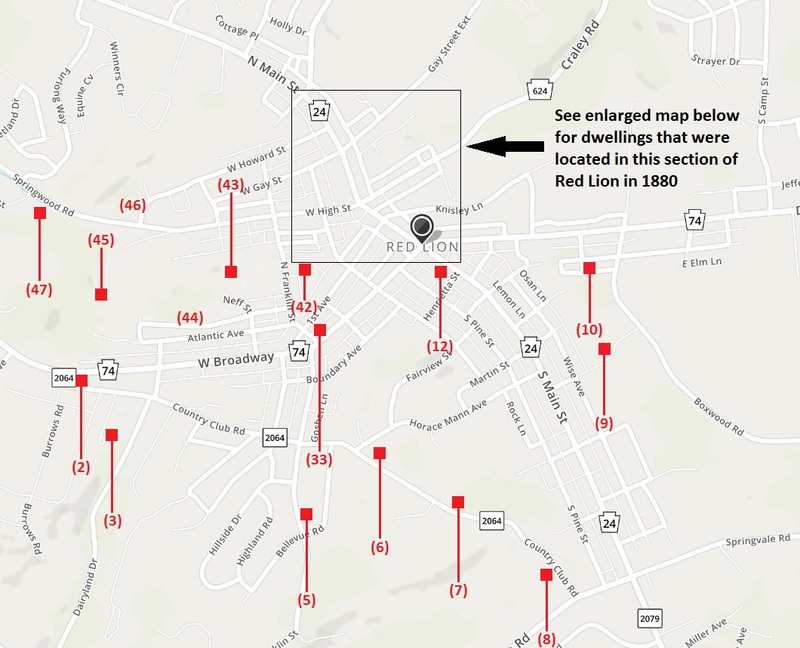 Below you will find two maps showing the known locations of those 47 dwellings. The exact location of a few dwellings (such as #44 and #46) is not known, but it is verified that the head of household owned property in that area and there are several possible dwellings located on their land. Also, you will find a table that lists all 49 head of households in Red Lion along with the corresponding dwelling number they resided in. Each head of household is a hyperlink to a PDF document that contains information on each family member within that household, such as date of birth, date of death, burial location. The family document also lists more details about the location of their residence, along with circumstantial evidence on where some of the households not listed on the maps below may have resided. Finally, the family document also lists any contributions to the town of Red Lion, such as their occupations, any civic involvement and other places they lived in town after 1880.